Liam's journey started in March 2012 at the age of three when Liam started vomiting randomly. Nothing abnormal was discovered, and we were getting very frustrated. Different tests were run for stomach ulcers, celiac disease, acid reflux, but nothing explained what was going on with Liam. The vomiting became more frequent, sometimes twice in a day. After a sleepless night of Liam vomiting throughout the night, we decided to take Liam to the emergency room at the Alberta Children's Hospital. The triage nurse quickly noticed Liam’s head tilt and rushed Liam through for a CT scan. At about noon, the ER doctor came by and gave us the news that they saw a "lesion" in the cerebellum of Liam's brain. Liam was admitted immediately, and prepped for surgery the next day. May 1 2012, Liam underwent a seven hour surgery where the nuerosurgeons were able to do a full resection of the tumor. We had no idea what the future would hold for Liam. The next time we saw him in the ICU, he had a tube down his throat. His hair was shaved in patches. There were lines coming out of both hands and feet. Liam had tubes coming out of his skull to drain fluid from his brain. He had staples all around his head, and 30+ stitches down the back of his skull and neck. As parents we were helpless, and Liam`s future was in the hands of the doctors and nurses. He wasn`t able to speak for days, and couldn`t walk for weeks. To this day, he still has problems swallowing which was caused by damage to nerves around the tumor. After a week of waiting for the pathology, we found out it was a malignant (yes, cancerous) tumor - medulloblastoma. The original classification was standard-risk medulloblastoma. However, a few weeks after the surgery a lumbar puncture was done to test Liam's spinal fluid. Unfortunately, abnormal cells were found which changed him from standard-risk to high risk. Wanting to start treatment as soon as possible, Liam had a second surgery to have a central line inserted, and went through apheresis to harvest and freeze his own stem-cells for bone marrow transplants later on. Liam went through three rounds of induction chemotherapy which also included a lumbar puncture each time to inject chemo into his spine. After his third round of chemo, an MRI showed flair in the same place as the original tumor. That meant a second brain surgery to check for recurrence. The first time Liam had surgery, we really didn`t know what was going on. We were so overwhelmed that we didn`t have time to think. The second time came with much more emotion, anxiety and fear for what could be recurrence. We were now well educated, and knew recurrence was the worst case scenario. The doctors were never able to confirm recurrence, and the only explanation was that it was scar tissue or dried blood from the original surgery. As something that we never had a definitive answer on, it`s always worried us. Liam quickly recovered from the second surgery, and started three rounds of high-dose chemo which included stem-cell transplants of his own cells. Each round, Liam ended up back in the hospital with fevers. We spent most of the next two months living in the hospital. After 86 nights in the hospital, we spent our last night on Halloween 2012. Liam was able to go out trick-or-treating that night. He was low on energy, and so happy to be home that he didn`t last outside very long. 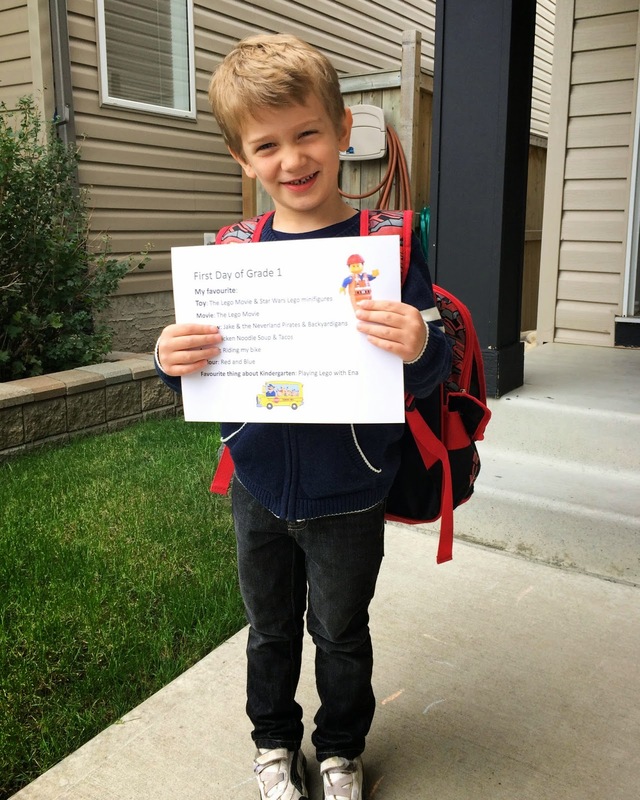 November was spent planning for the next part of Liam`s treatment – radiation. The most difficult part was deciding how radiation to give Liam. Too little, and maybe the tumor comes back. Too much, and the radiation would cause serious long-term damage to Liam`s four year old body and brain. The holiday season was spent taking Liam to the hospital every morning for 30 rounds of radiation to the back of his head. Because they had to put his head into a fitted mask that is locked down to a table they prepared to have anesthetic each morning. Liam hated “sleepy medicine”, and was able to do all his radiation treatments without anesthetic. 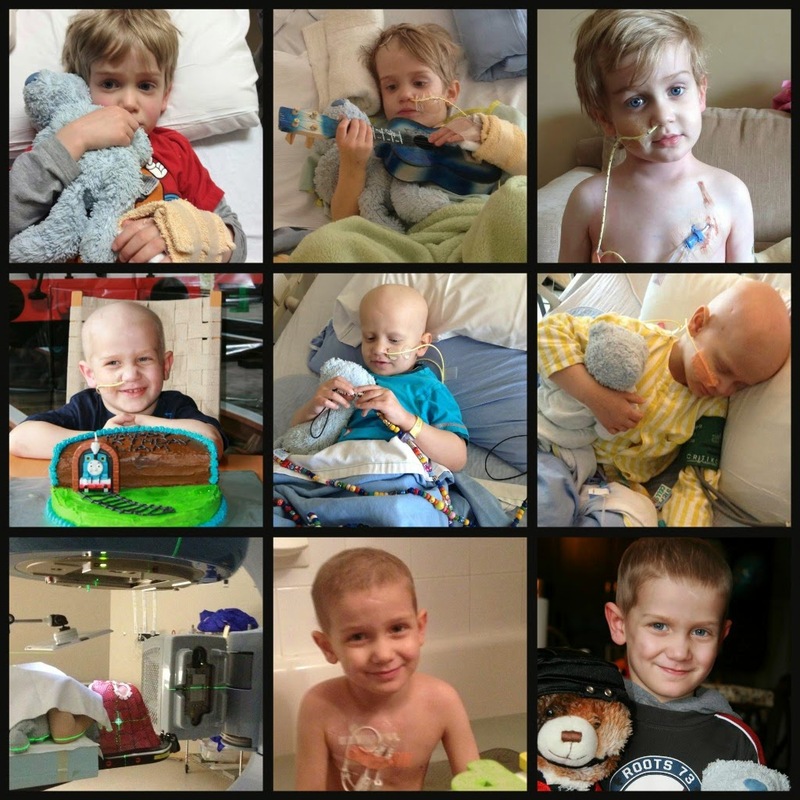 Liam’s treatment finished January 29, 2013. He continues to endure regular MRIs. At first, every three months. Now every four months. However, the scar on the back of his head and neck is always a visible reminder of the anxiety of the next MRI.